Testing of all attachments and bogey orientations. It's just over two months since I posted anything in my similarly-named thread in the Freeware Section, but as before, the silence doesn't necessarily mean that creation has ground to a halt: far from it. Nearly all the assets I've been working on over the past few months are for specific projects: most importantly the line from Inverness to Kyle of Lochalsh in the Scottish Highlands, which is being tackled in different ways by two separate builders. 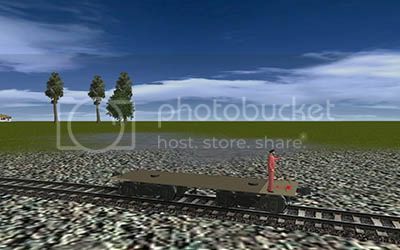 I looked at some screenshots yesterday where somebody made 2 reskins with Jointed Rail's locomotives. I asked what method he used to make blank maps and how he cleared up all the previous stuff via private message and sure enough, I got where I wanted to be.